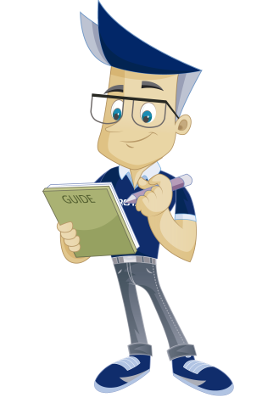 This guide explains how to create an FTP account in cPanel, apart from the one you start out with. Enter the desired user name. Enter the desired password twice. This must meet the "Strength" requirement of at least 50 points. This means that it must be composed of at least 6 characters and consist of both numbers and letters. Here, the user's home directory is specified. Specify how much storage space to make available to the user. Click to create the account. The FTP account has now been created, and it is ready for use. 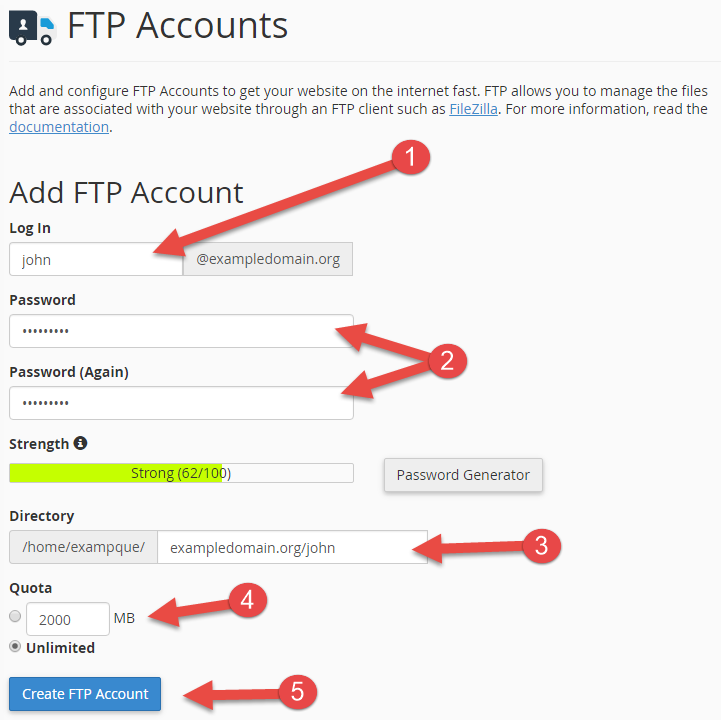 To log in via FTP, use username@dittdomene.com and the password you entered in step 2. Under "FTP accounts", you will see the newly created account, and from here you can change the storage quota and password, delete the account and see the recommended setup for the FTP client.